A solid rectangular table for any size family, available in two sizes (79" or 101") for a more intimate gathering or for large family dinners. Styles come in two different heights. This Custom, all-wood table is available in 14 different leg styles, and ogee or straight-edge profile. 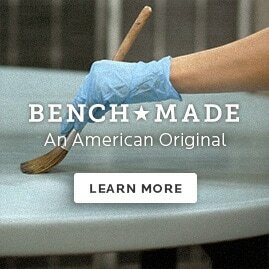 Plus select from 30 different colors for the table top and apron/legs. So, you get a custom combination that will be hard to find elsewhere! Get the custom look you want today!